As of late August, growers in the Northern Territory will have access to a new airfreight cargo service departing Darwin and arriving in Hong Kong. The weekly service will depart Darwin on Sunday evening, arriving in Hong Kong six hours later at 11pm local time. The Boeing 767-300F has the capacity to carry 50 tonnes of fresh produce between cities. 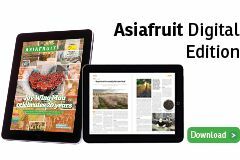 “Producers throughout the Northern Territory often find themselves transporting large volumes of perishables via road to the east coast to meet a cargo connection to Asia. 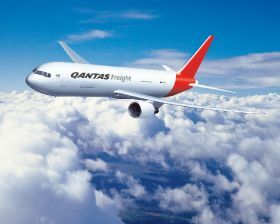 This process can take up to five days, which reduces the shelf life of the product when it arrives at its destination,” said Qantas Freight chief operating officer, Nick McGlynn. The service will depart Sydney before connecting through Darwin on its way to Hong Kong. The company says the service will give producers an opportunity to get their products into Asia faster and fresher.